Top quality brand-name photo papers, modern laser exposure, and traditional development ensure perfect results. A long-lasting, gallery-ready piece is created with an aluminium Dibond backing and a UV protective laminate. With no glazing, an Original Photo Print On Aluminium Dibond has a purist look. 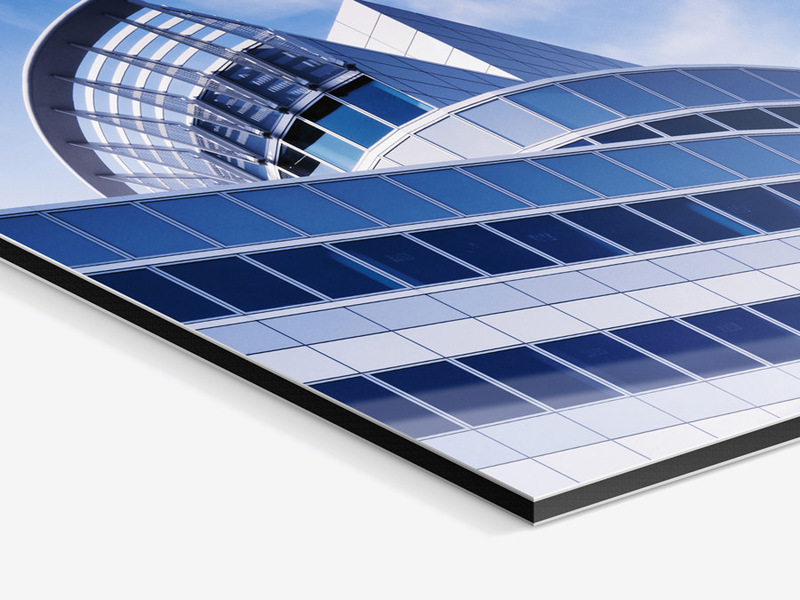 Aluminium Dibond is a 3 mm-thick composite material with three layers. Two white-coated aluminium plates enclose a black polyethylene core. Viewed from the sides, the material appears black. 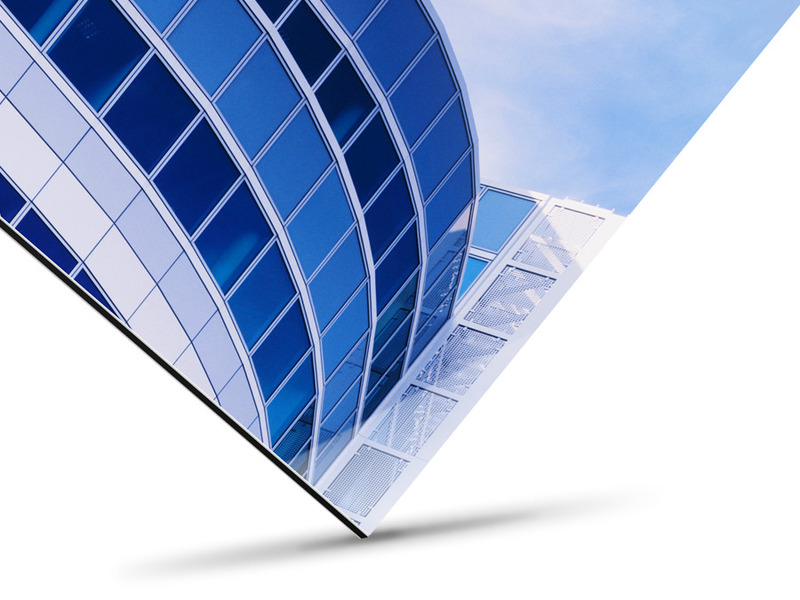 Although it is extremely robust, aluminium Dibond has a low weight, meaning it is also perfect for large-format pieces. You photo print is laminated with a thin film for protection and mounted on the aluminium Dibond without any bubbles. The photo print is exposed with state-of-the-art laser technology and developed traditionally. We guarantee 75 years of brilliance from our photo prints and use a variety of premium photo papers to suit your individual needs. For an Original Photo Print On Aluminium Dibond, you can choose from three different papers. Classic paper for all types of images and various contrast levels. Premium paper for extra-saturated colors and a warm base tone. For black-and-white photography. Fade-resistant, deep contrasts, and accurate grey scales. 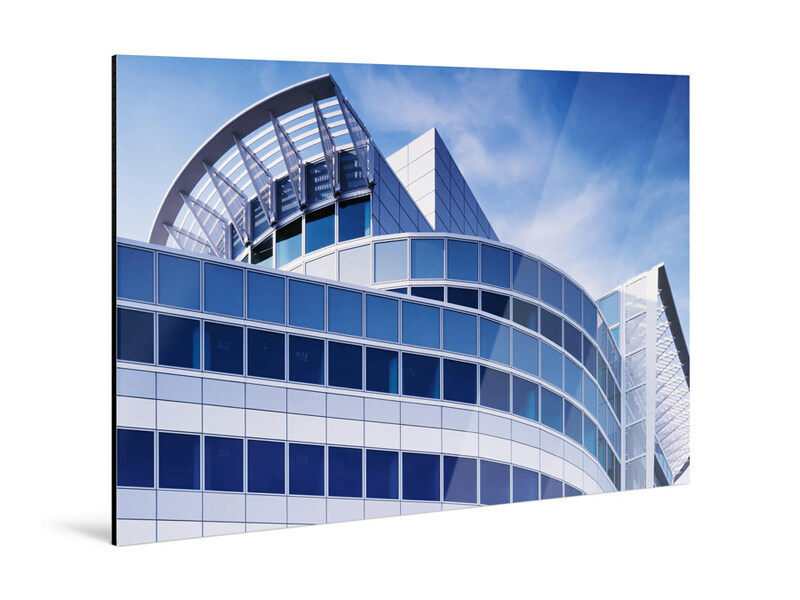 Your pictures on aluminium Dibond arrive in the exact format of your choice. We produce them individually with maximum accuracy. You can even set your own aspect ratio. The ideal wall-mount for secure and easy installation is provided according to the size of your picture. This is included in the price. Of course, you can order your picture without hanging hardware if you like. All of our hanging systems can be used with gallery rails. Our Photo Prints On Aluminium Dibond always arrive ready to hang. However, some images look even better in frames that also serve to direct attention to the picture itself. That’s why we offer over 100 frames in various materials and colors. Frames also arrive ready to hang in either landscape or portrait orientation. 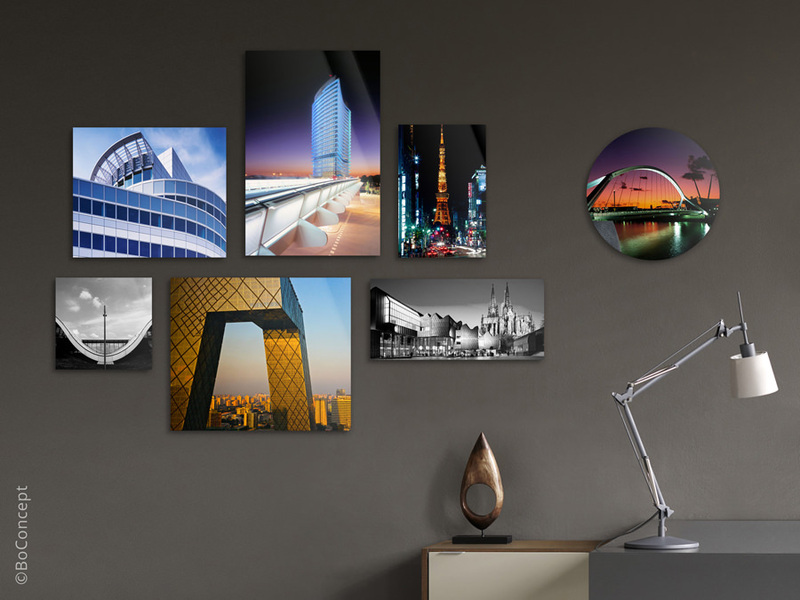 Original photo prints on aluminium Dibond are absolute WhiteWall classics: They are simple and unobtrusive and have a contemporary yet timeless look. You might almost say: Everyone loves them. But that doesn’t mean you order some generic product – laminates on aluminium Dibond by WhiteWall are premium quality products: Original photographs are exposed exclusively on select branded photo paper and we guarantee 75 years of colour brilliance for colour prints and 75 years of fade protection for monochrome pictures. Select a surface texture in matt or glossy – with the right photo paper as basis for your image.